Summer is almost over, and we have to prepare and think about transitional items to carry us from warm summer into chillier fall days. 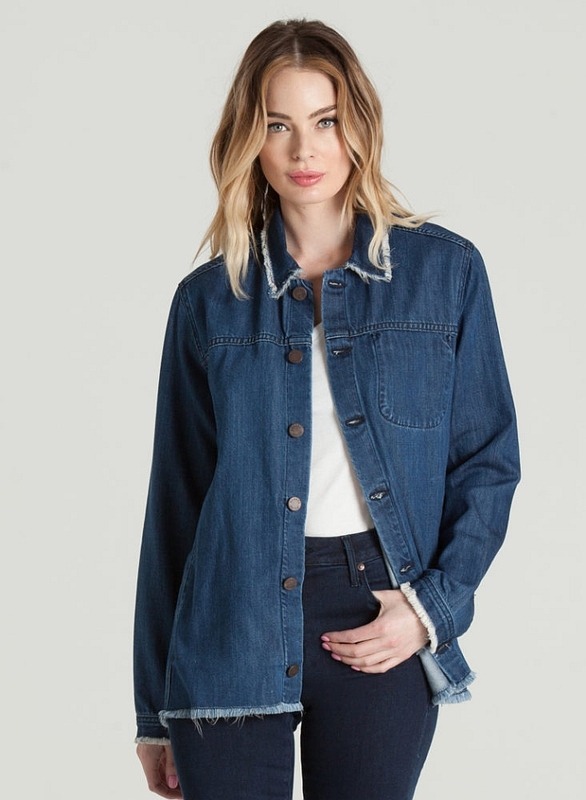 We have been into lots of different denim jackets, trucker jackets, cropped, oversized… and we are more than ready for a new style. Yeah, we’ve been doing denim and chambray shirts as well, worn over flimsy summer dresses and with our cut-offs. But, a jacket is a jacket, and a shirt is a shirt, right! 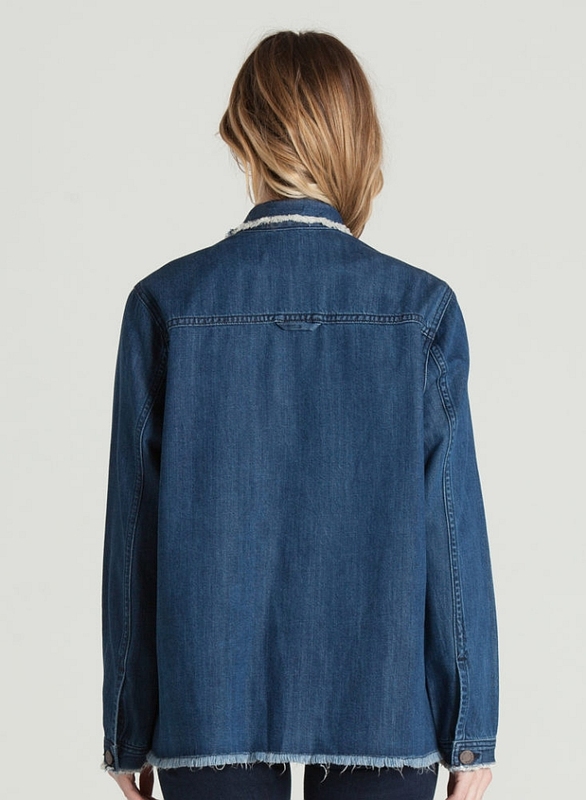 Anyway, this shirt jacket is exactly what it says it is: both! You can wear it as a shirt and then it will be a shirt and look as a shirt. But sure, the same goes for jacket as well! How insane is this…. I mean, I am thinking of wearing this over my Vince tees (totally a Vince tee addict!) right now and then even in winter, over a funky turtleneck. 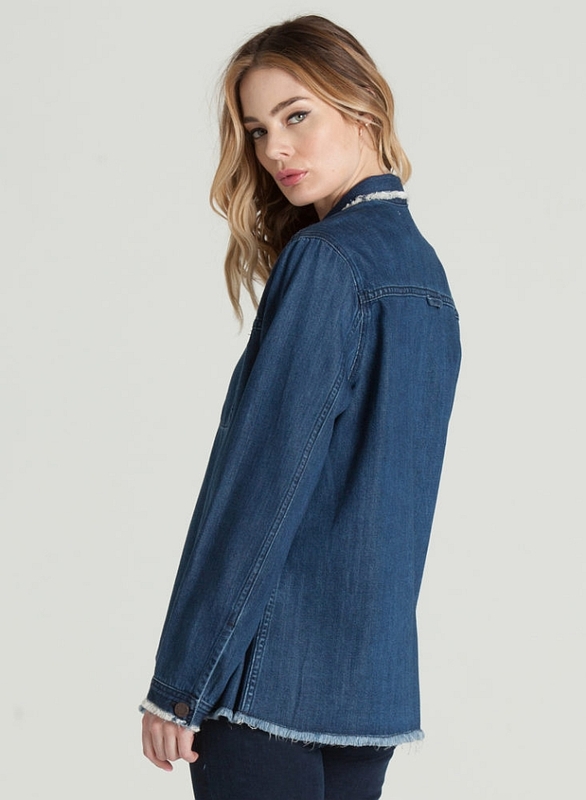 The frayed hems at the collar and at the seams in a lighter wash screams vintage… even the medium blue super clean wash reminds me of the denims from the 80’s. 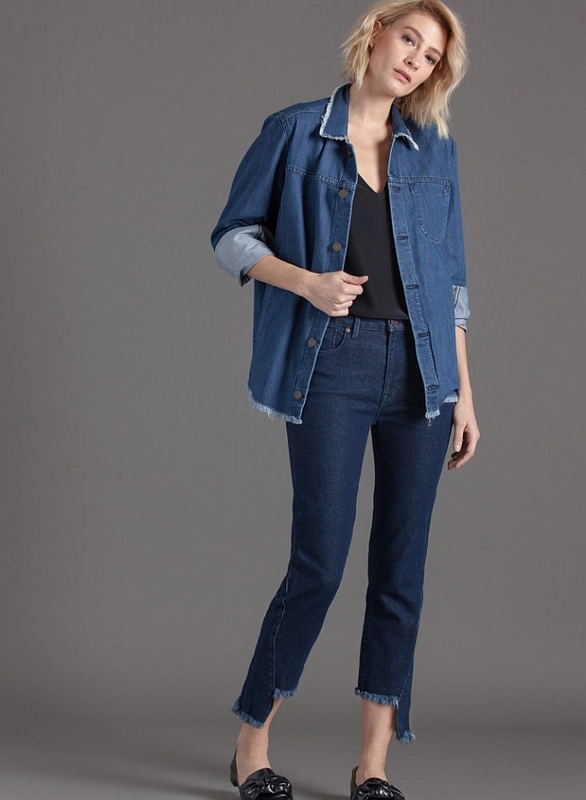 Check out some more rad Parker Smith denim at Nordstrom and at Neiman Marcus.